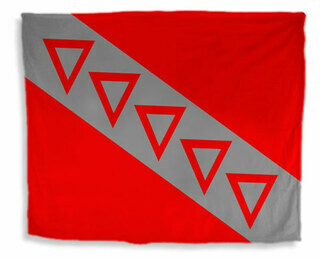 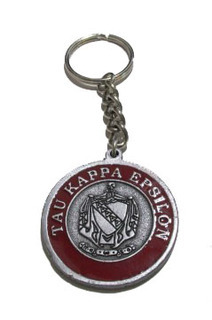 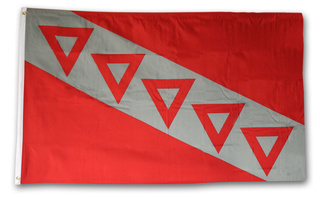 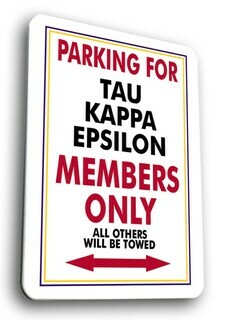 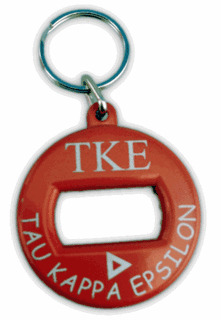 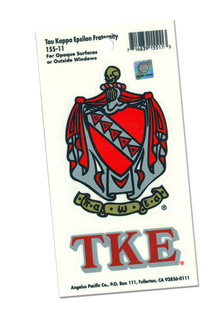 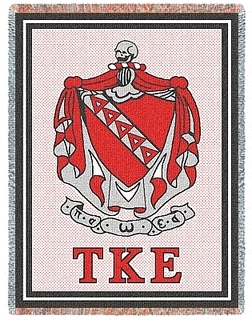 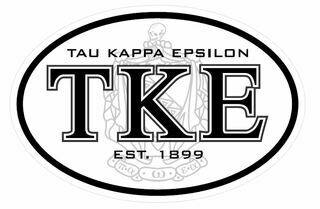 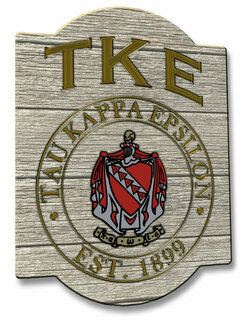 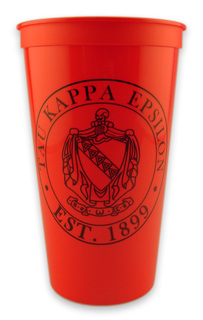 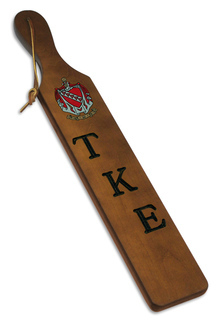 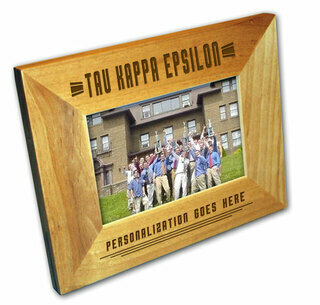 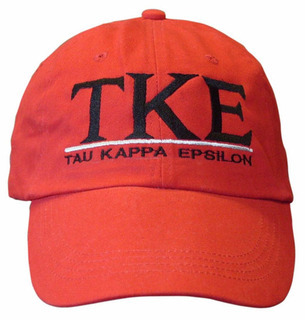 Tau Kappa Epsilon is a well-known fraternity that was founded in 1899 at Wesleyan University. 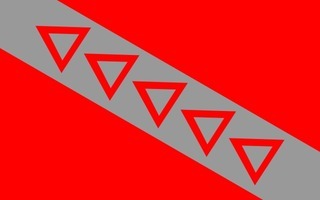 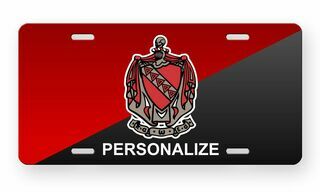 The fraternity was started after a lengthy discussion about a new society that would put character above wealth and social status. 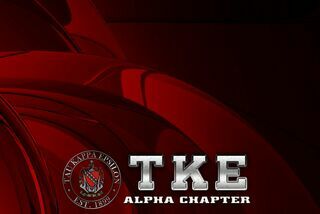 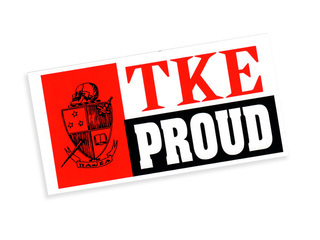 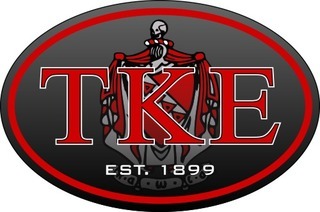 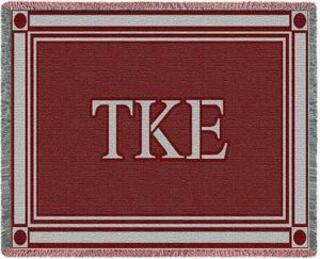 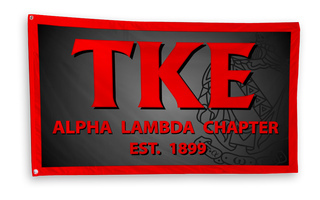 Today, TKE is one of the larges fraternities in North America with an active membership of over 12,000 young men. 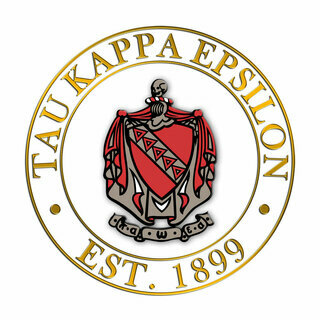 There are 252 active chapters of Tau Kappa Epsilon and the fraternity boasts an impressive collection of distinguished alumni including former President Ronald Reagan, Malcolm Forbes and Elvis Presley. 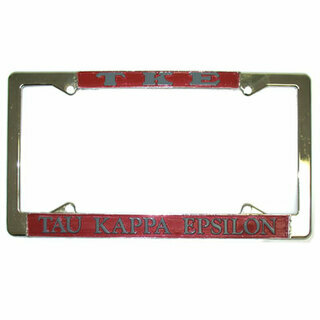 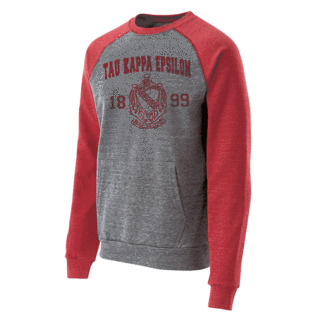 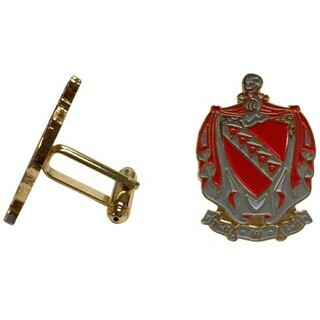 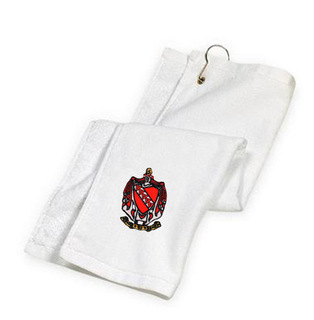 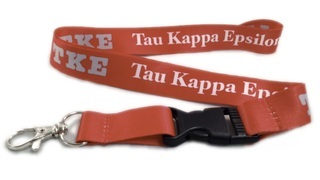 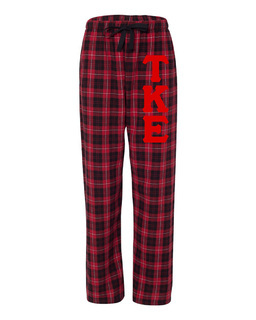 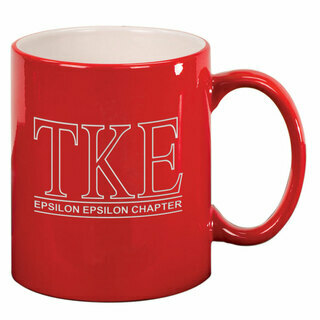 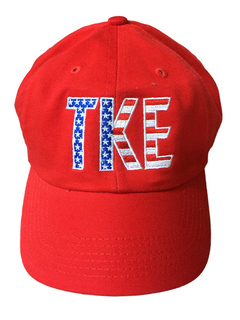 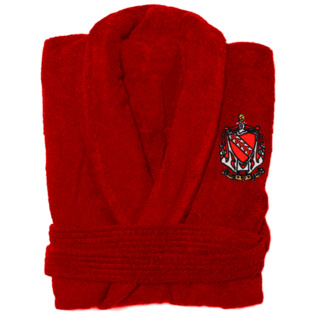 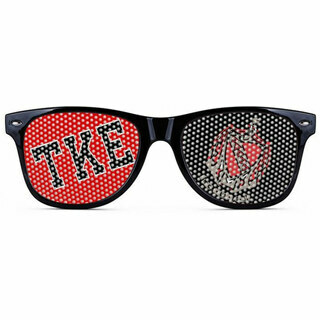 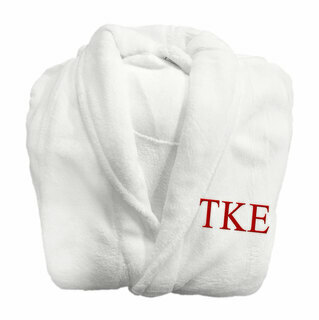 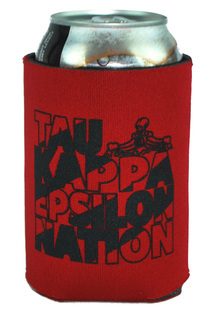 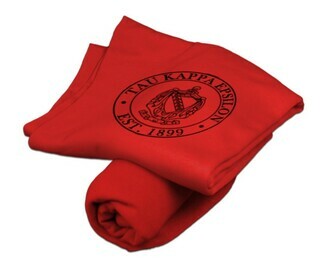 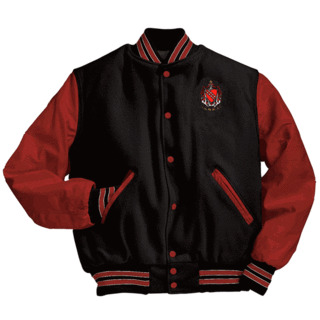 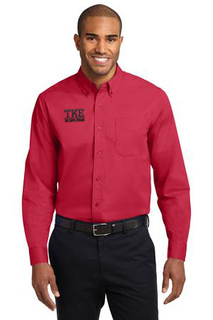 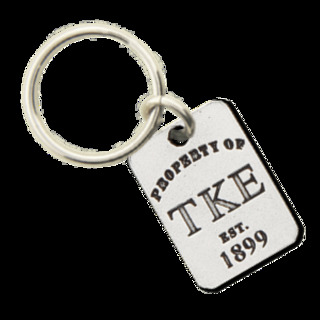 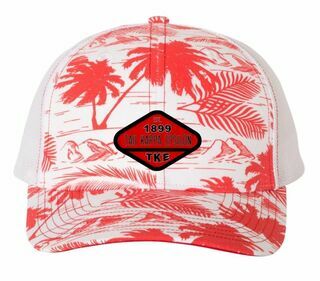 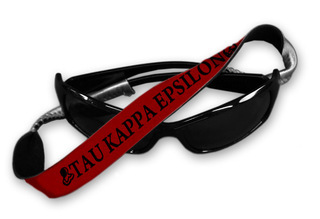 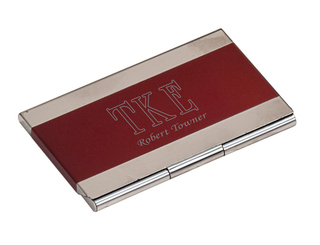 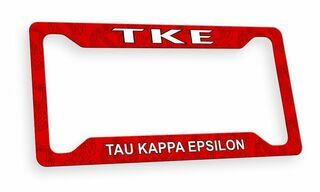 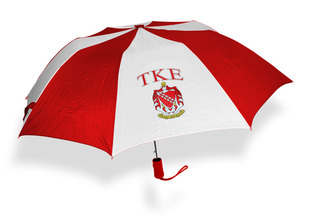 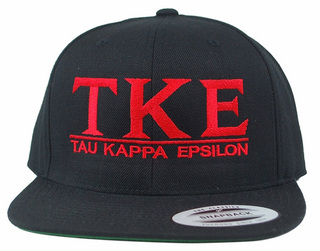 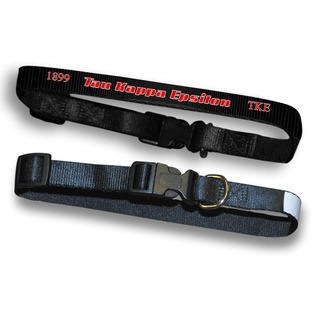 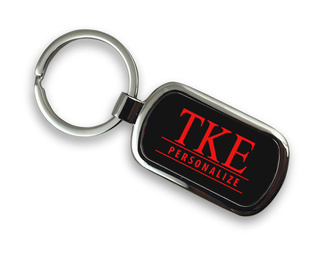 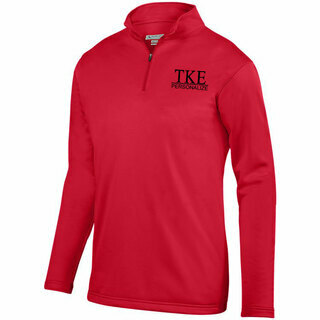 When it comes to celebrating the young men of TKE, nobody offers a better selection of Tau Kappa Epsilon clothing and novelties than Greek Gear. 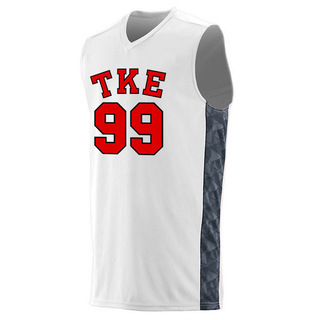 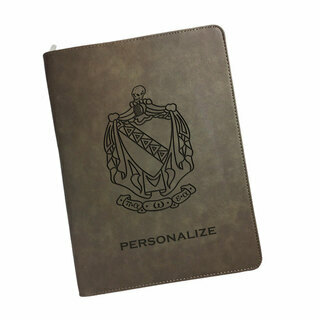 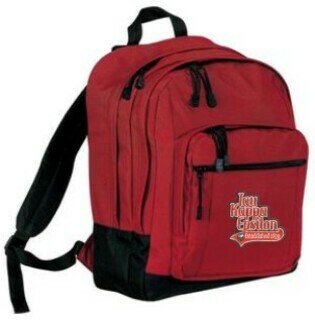 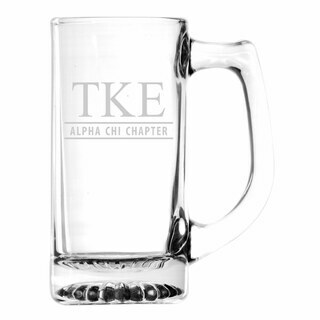 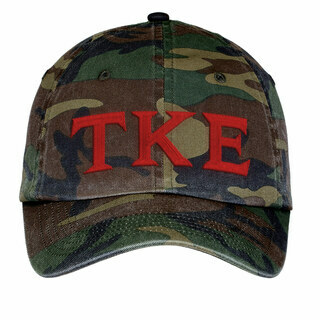 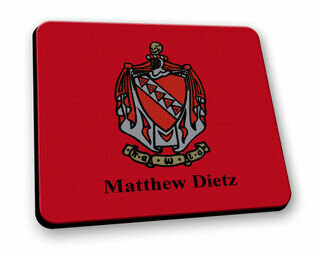 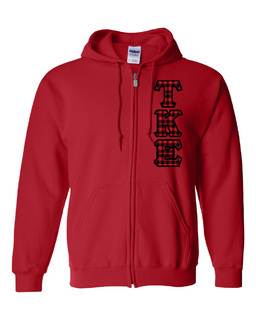 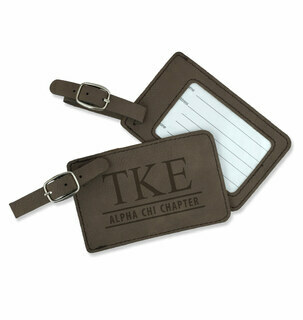 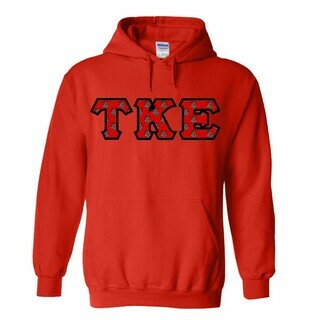 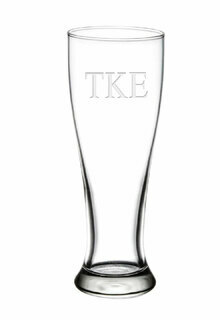 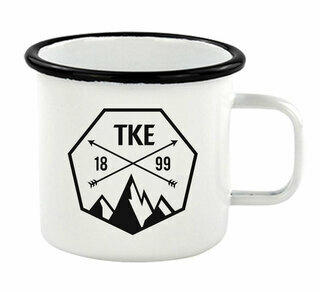 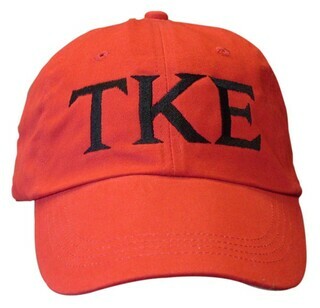 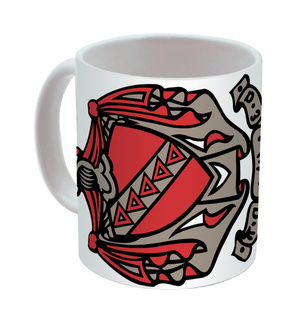 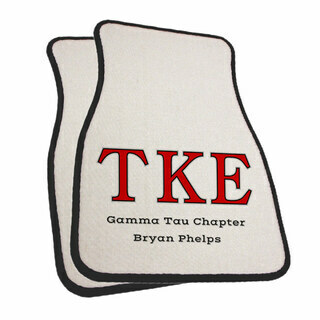 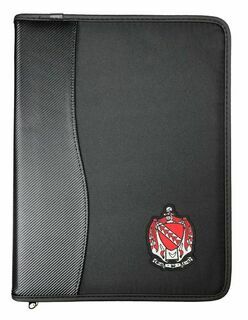 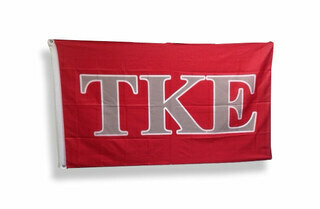 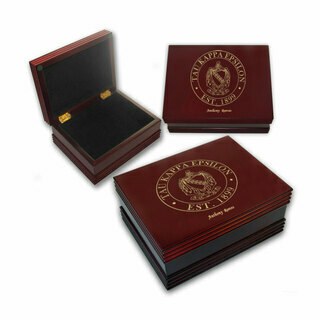 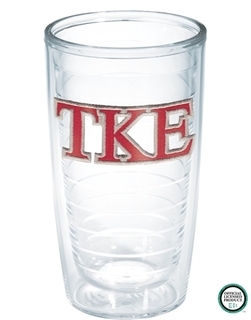 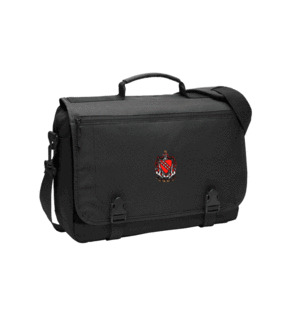 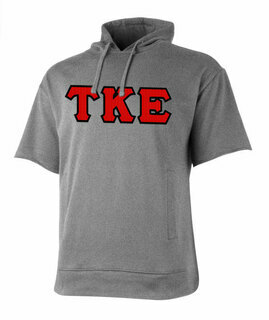 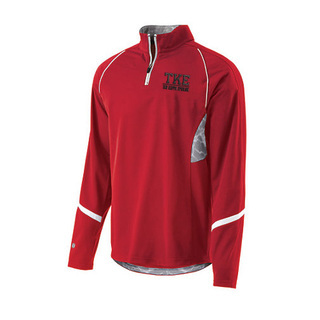 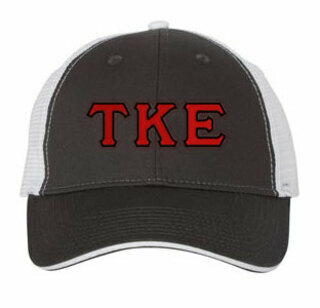 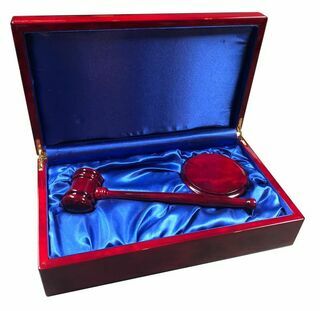 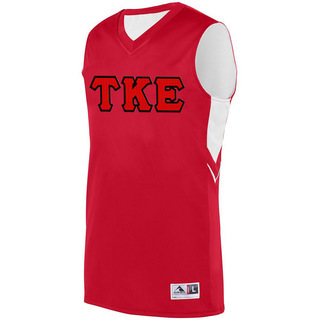 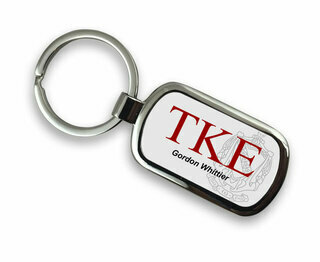 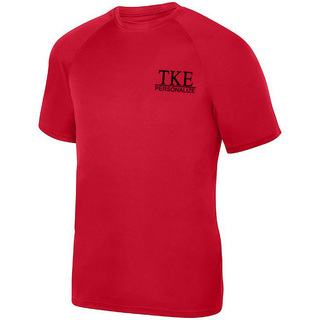 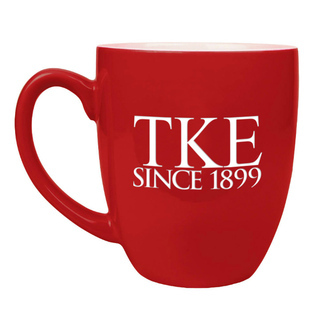 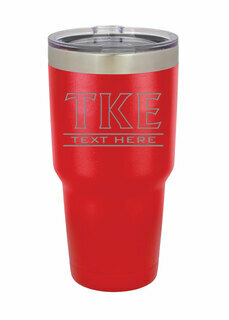 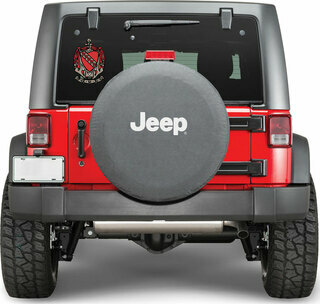 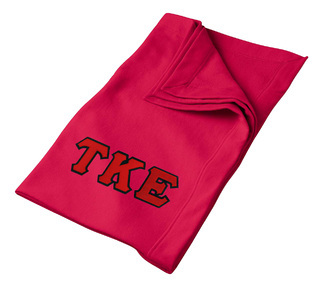 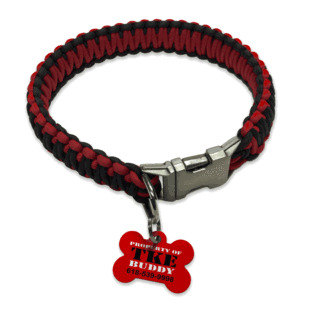 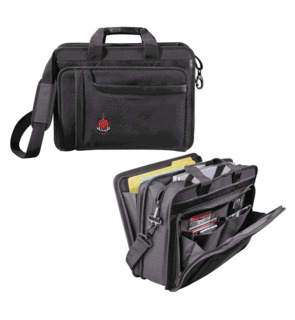 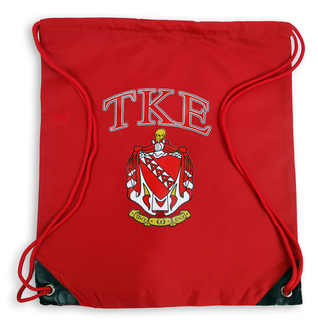 We carry a huge variety of T-shirts, hoodies, hats, cups, office supplies and other items emblazoned with the TKE letters. 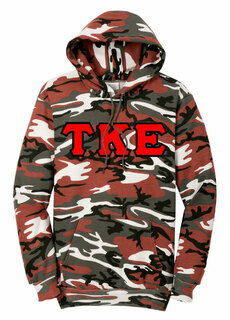 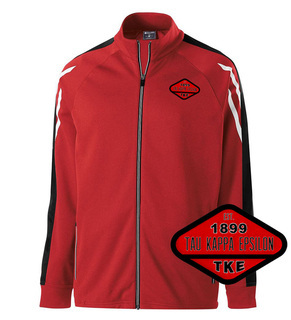 Our Tau Kappa Epsilon clothing is designed for everyday use and is the perfect choice for wearing around campus. 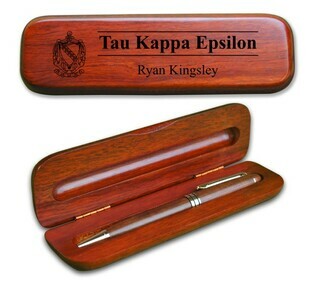 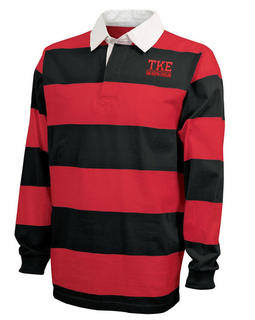 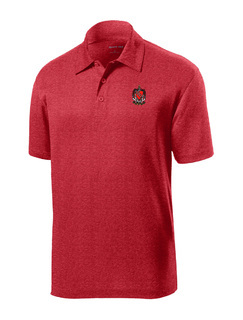 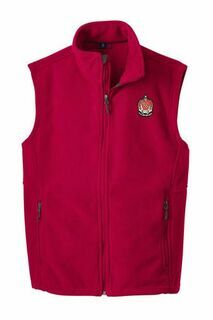 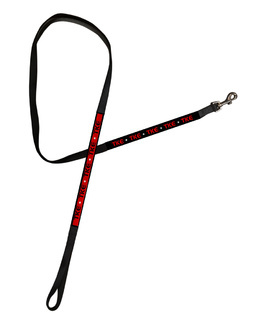 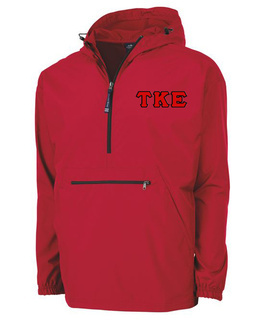 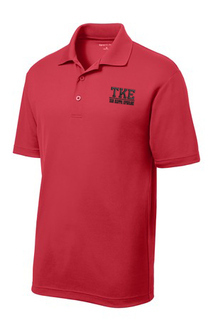 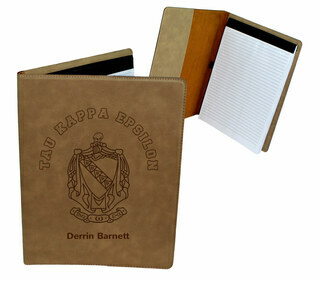 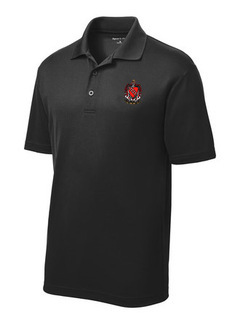 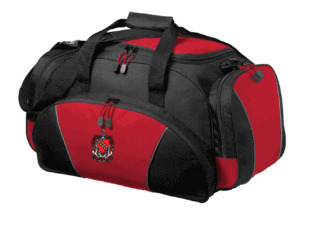 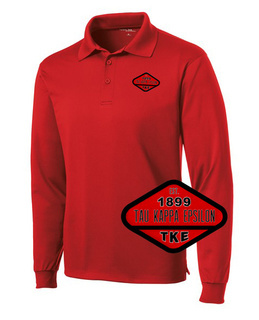 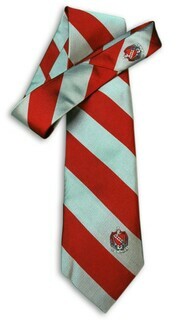 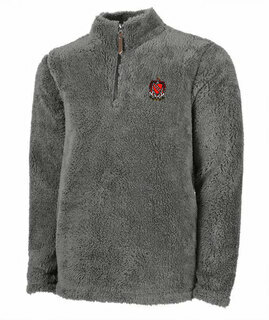 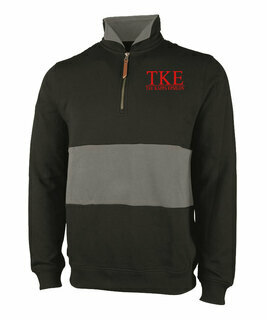 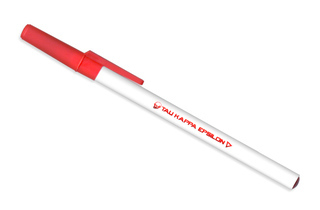 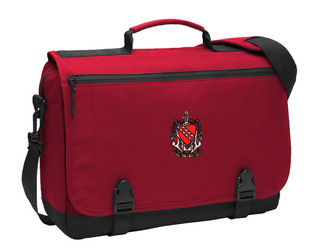 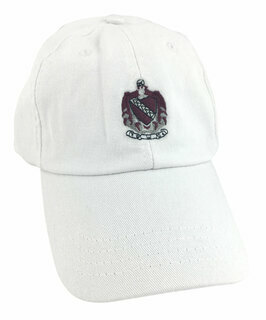 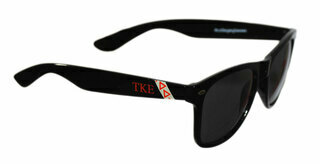 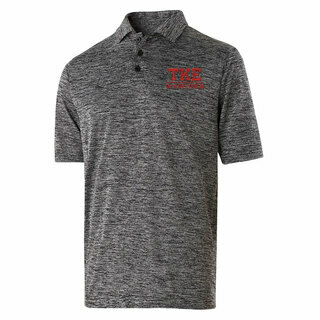 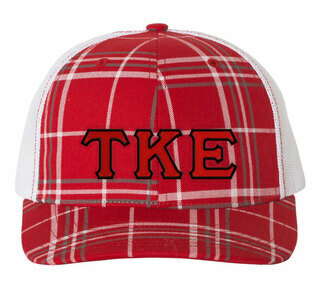 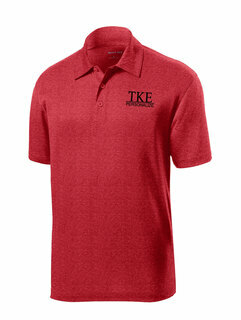 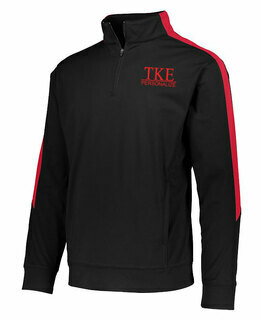 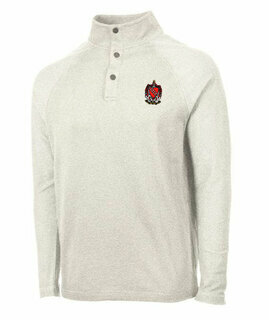 Of course, our TKE polo collection shouldn't be ignored as well as any of our other Tau Kappa Epsilon goods. 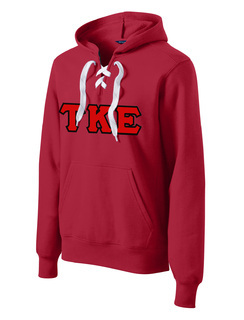 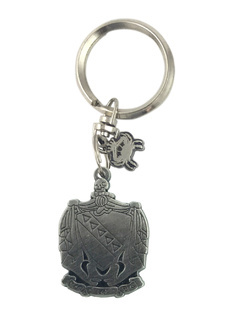 At Greek Gear, we're more than just an online store. 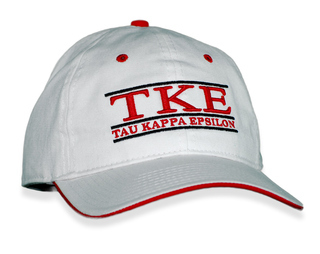 We're your one-stop shop for all things Greek. 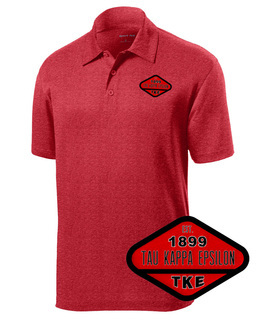 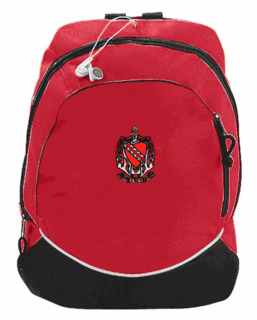 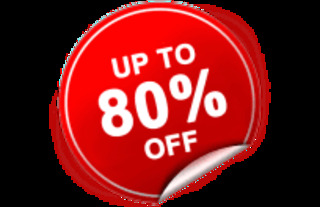 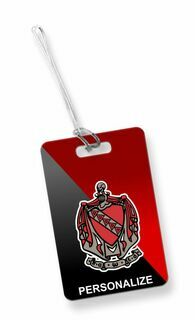 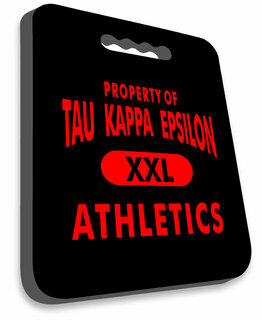 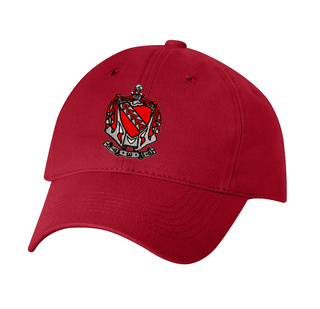 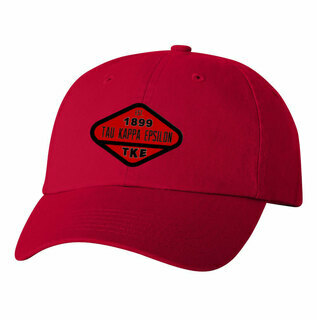 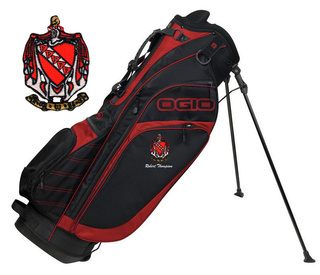 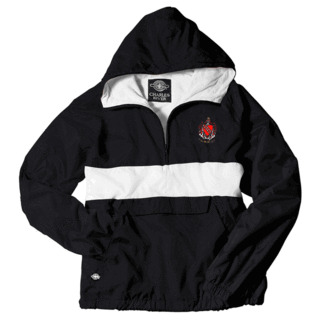 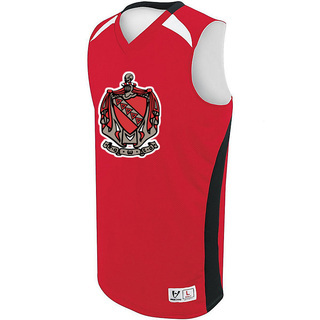 We've been in business since 1999 and are the smart choice for quality Tau Kappa Epsilon apparel and merchandise at low prices. 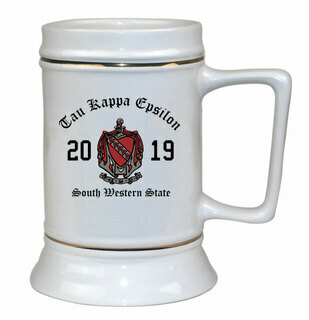 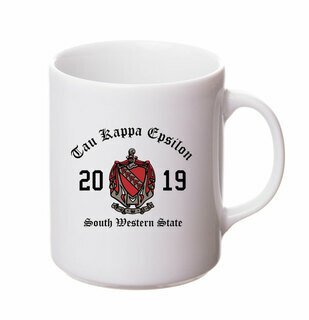 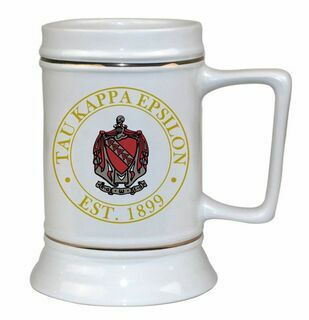 Tau Kappa Epsilon Ceramic Crest & Year Ceramic Stein Tankard - 28 ozs! 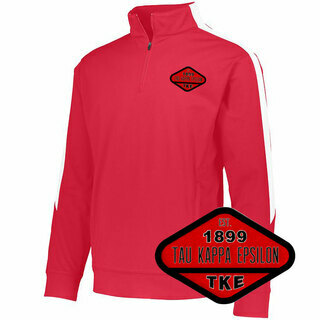 Tau Kappa Epsilon Heavy Full-Zip Hooded Sweatshirt - 3" Letters! 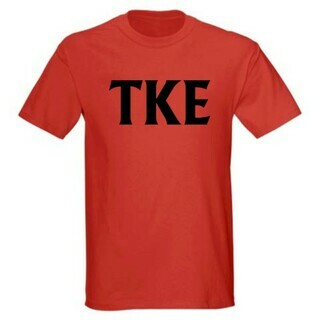 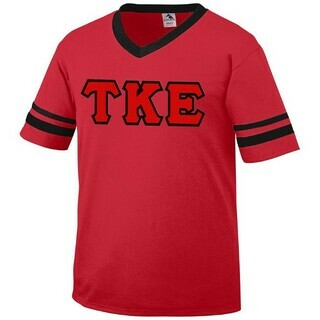 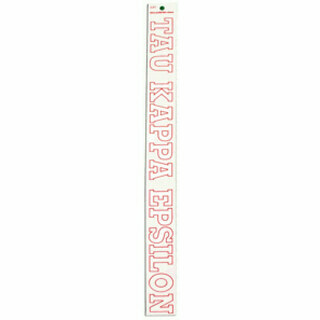 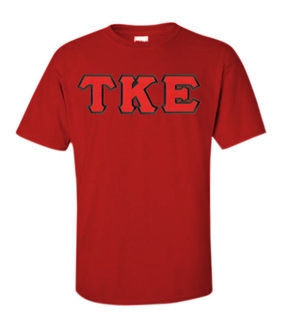 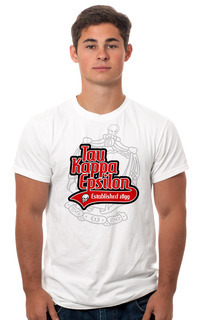 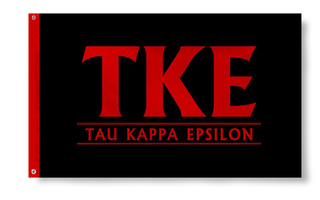 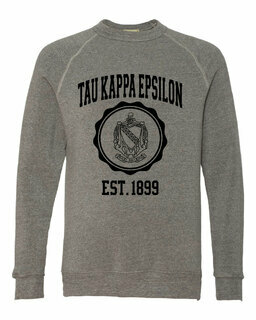 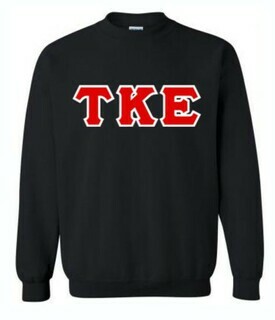 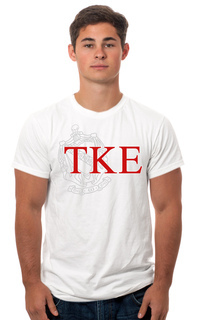 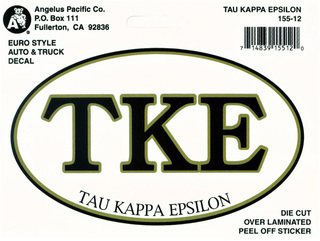 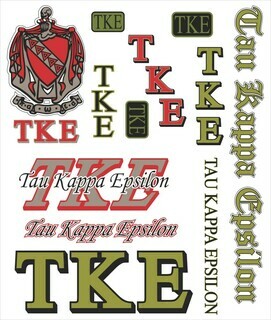 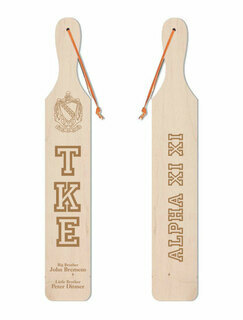 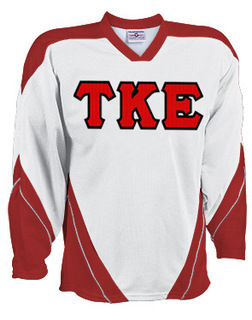 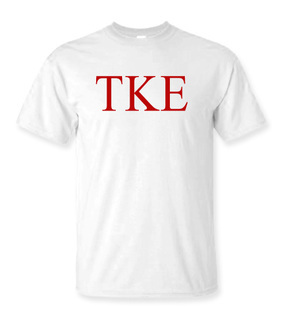 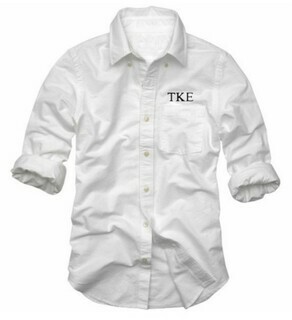 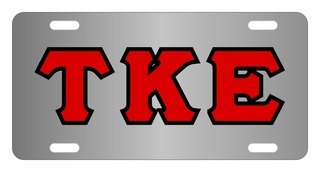 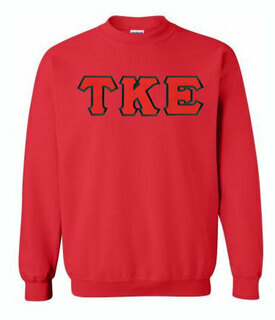 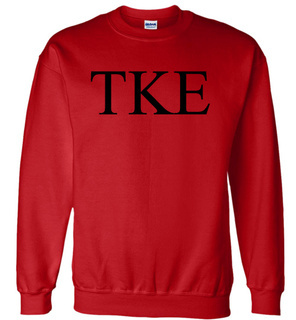 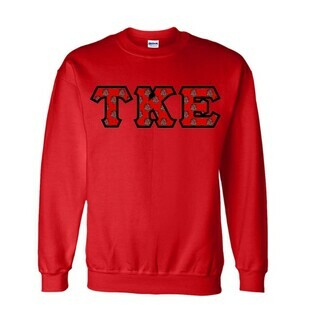 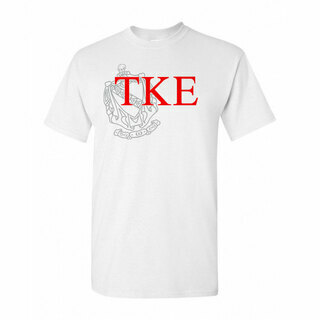 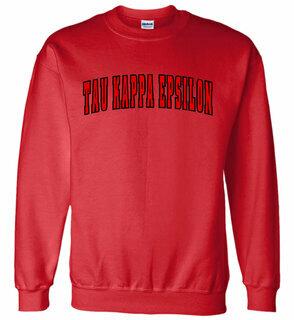 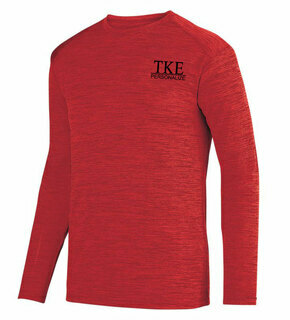 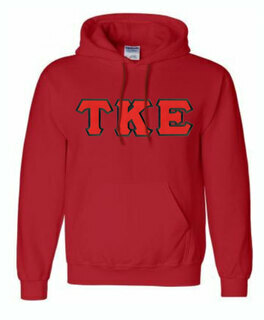 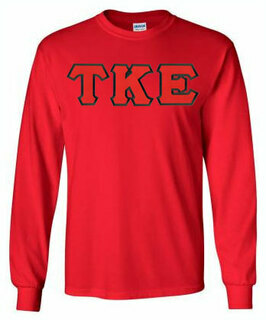 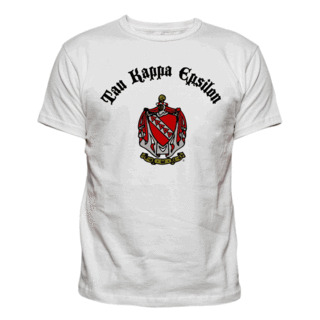 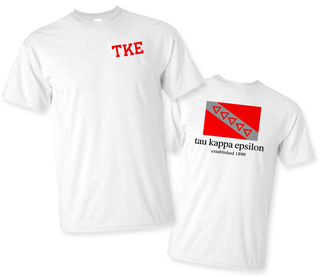 Tau Kappa Epsilon Lettered Tees - $9.95! 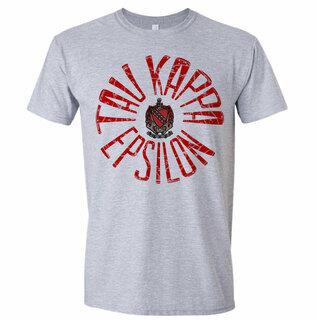 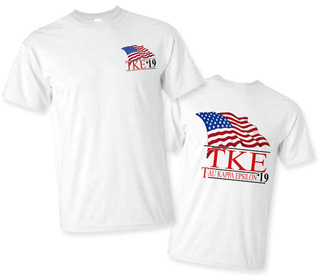 Tau Kappa Epsilon Patriot Limited Edition Tee- $15!